So I know I said I'd be back tomorrow, but until then, I have to share this you. 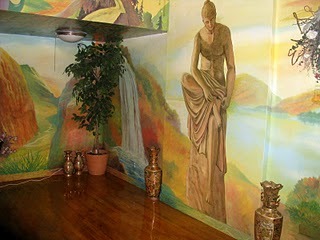 It's an apartment in Manhattan for sale by owner that I found via Curbed. 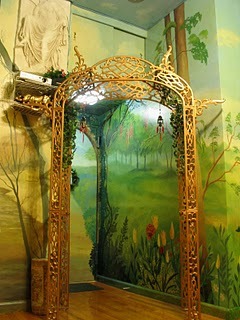 Every inch of it is covered by a mural, including the baseboards and ceiling. I don't even know what to say about this... I'm speechless. Click here to visit the official website and see more pictures.